Recently, Balticlab issued a contacts book incorporating all Estonians that have been taking part of Balticlab. Kaisa Kahu of Thindividual is featured too. 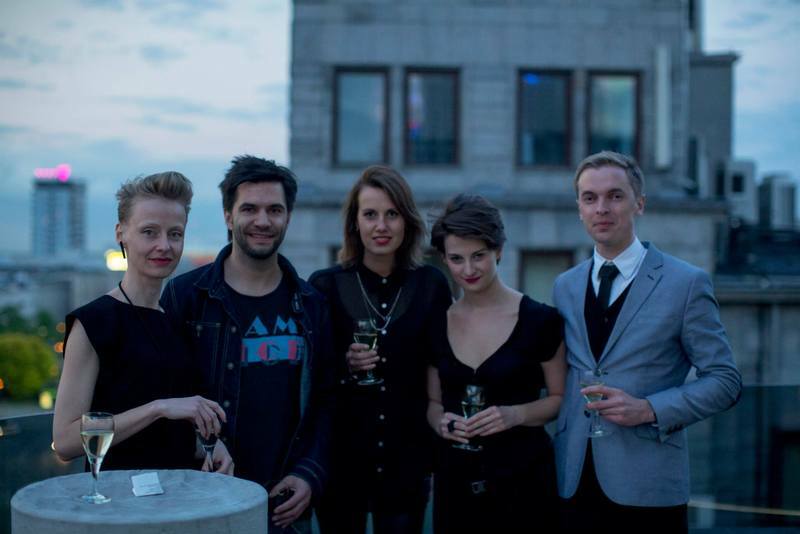 in 2014, Kaisa (ET/LV), Andrius (LT), Veera (FI/SV), Kasia (PL/UK) and Henri (ET) aka Team FRÖN won the Balticlab business leadership programme with their prototype of FRÖN, the business development agency for creative industries at the Baltic Sea Region. Balticlab is a joint project and leadership programme by the Council of the Baltic Sea States and the Swedish Institute aimed at increasing integration in the Baltic Sea Region through creativity and entrepreneurship. Meanwhile, we have narrowed it down a bit again. End of April, team Frön organized two workshops with Riga and Vilnius fashion designers (ten altogether), to precisely map the situation and understand the needs of industry. Like precisely told by Kasia, "Our vision gets more precise every time we meet". We are planning to meet Polish designers while in Warsaw, let's see how that will change our concept (again). After 5 days of intense networking, imputs from many experts, inspirational talks and project refinement, our Balticlab project has shifted, evolved and progressed. Instead of creative industries promotion and matchmaking we decided to narrow our activities down to FASHION only, which makes me happy. I am working together with Keta Gutmane the avant-garde LV designer on everyday basis as her brand manager; through doing and hands-on, I have gained insight to the industry, hence the Balticlab project is an elegant & natural evolvement of this on wider and international scale. We are now team Frön, that’s a working title, „Frön” meaning a „seed” in Swedish.